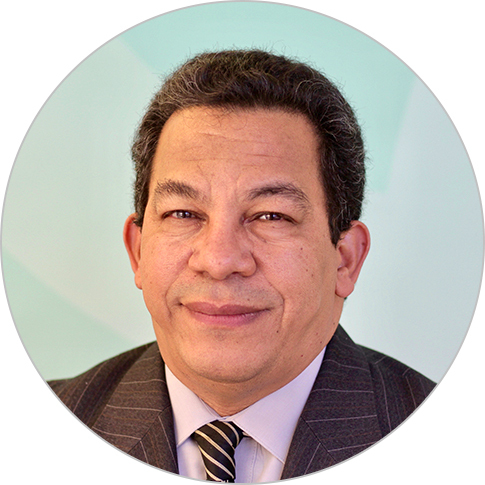 Dr. Efrain Laureano is a senior natural resources economist with more than 30 years of experience managing USAID development programs. He currently serves as the senior vice president of Chemonics’ Asia Division. Previously, Dr. Laureano was the chief of party for the Philippines Biodiversity and Watersheds Improved for Stronger Economy and Ecosystem Resilience Project (B+WISER), leading the team in the development and implementation of the Lawin Forest and Biodiversity Protection System. He has also served as chief of party for Chemonics projects in Bolivia, the Caribbean, Honduras, Mongolia, and Nicaragua. He has led the introduction of innovative digital development solutions across a variety of topics, including customs payments, e-VAT, online company registration, and natural resource management. Additionally, Dr. Laureano has worked as a home office director in the Latin America and the Caribbean region. Prior to working at Chemonics, he worked as an economist for USAID in the Dominican Republic and Nicaragua. He holds a Ph.D. and a M.S. in natural resources economics from Michigan State University.